“An appellate court has ruled that Florida’s HIV disclosure law can only be used to charge heterosexuals. As Jon Stewart of The Daily Show is increasingly wont to complain, reality is making life more and more difficult for people who want to satirize it. 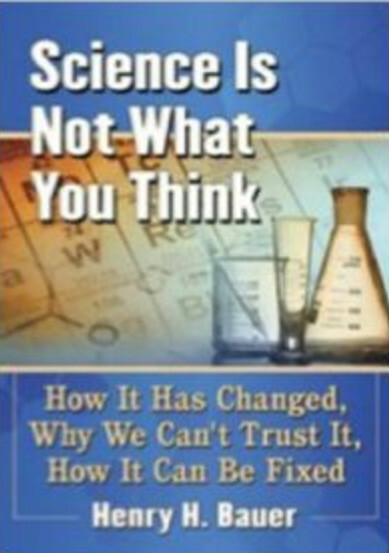 The epithet “pseudo-science” is flung around as freely and loosely as “denialism”. In both cases, serious scholars — philosophers, sociologists, historians, and others as well — have tried but failed to devise definitions that enable applications in practice. Philosophy of science in particular spent many decades attempting to find criteria to solve the “demarcation problem”, criteria by which one could distinguish science from other pursuits. All attempts proved unsuccessful; for a summary, see Larry Laudan, “The demise of the demarcation problem”, pp. 111-27 in Physics, Philosophy and Psychoanalysis (ed. R. S. Cohen & L. Laudan, Dordrecht: D. Reidel, 1983). For a survey of specific attempts to define pseudo-science, see “Pseudo-scientists, cranks, crackpots”, chapter 8 in Beyond Velikovsky: The History of a Public Controversy. For a detailed discussion of such attempts with respect to controversial topics like cold fusion or psychic phenomena, see Science or Pseudoscience: Magnetic Healing, Psychic Phenomena, and Other Heterodoxies. In practice, a topic or claim (A) is called “pseudo-science” only because the name-caller believes that A is totally misguided and obviously wrong. A critique maintaining that a claim or theory B is wrong is called “denialism” only because the name-caller believes B to be right but cannot command evidence or logic adequate to defend that belief by rational discourse. 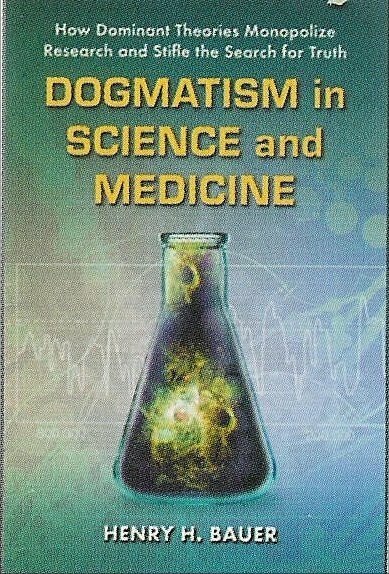 A disinterested definition faithful to the accepted meanings of “pseudo” and “science” would be: Pseudo-science is whatever pretends or asserts to be science but is not. The issue becomes, Who is to decide, whether something really “is” science? 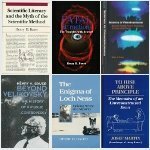 In practical terms, leaving aside questions about the nature of knowledge and proof, it is a fact that there exists an identifiable “scientific community”, and one can gather empirical data about what the scientific community has or has not accepted as qualifying as science at any particular time. That latter phrase, “at any particular time”, is essential because what the scientific community accepts changes all the time: a large part of the history of science reveals how once-resisted or ignored or reviled claims later came to be regarded as great advances. The scientific community judges claims based on what is already accepted. There are three distinct components of science: accepted facts, accepted methods, and accepted theories. Major advances in understanding, in other words advances in theory, have often been called scientific revolutions: quantum theory, for example, or relativity. However, some advances in method, especially the development of novel instruments, are also seen by scientists themselves as revolutionary because they bring entirely new capabilities for observation or experiment: lasers, say, or infrared spectrometers, or electron microscopes. Some facts have also been revolutionary in changing scientific mindsets: that the “inert” gases are actually capable of forming compounds, say, or that genetic material consists of a double helix of DNA. The history of science reveals that revolutions are usually resisted strenuously by the contemporary mainstream. Planck’s introduction of quantum ideas was resisted so fiercely that he later remarked that the old guys have to die off before such new ideas can gain acceptance. Charles Townes related that his Department Head accompanied by a Nobel Prize winner urged him to stop trying to construct a laser because it was impossible and his efforts were threatening to destroy the reputation of the Physics Department at Columbia University. That meteorites could have fallen from the sky was denied for a long time by the scientific mainstream. In retrospect, however, scientists as well as outsiders forget — or never knew — that novelty is always resisted in science just as much as it is in other human affairs. For detailed discussion of such resistance, see for instance Ernest B. Hook (ed)., Prematurity in Scientific Discovery: On Resistance and Neglect (University of California Press, 2002); Thomas S. Kuhn, The Structure of Scientific Revolutions (University of Chicago Press, 1962/1970); Bernard Barber, “Resistance by scientists to scientific discovery”, Science, 134 (1961) 596-602. The examples cited above — quantum theory, lasers, inert-gas compounds, etc. — have one thing in common: they involved revolutionary change in only one of the three aspects of science. Quantum theory and relativity were revolutionary interpretations of uncontroversial facts obtained by uncontroversial methods. Infrared spectrometers challenged no theory and no facts, neither did electron microscopy; the possibility of lasers had even been predicted by theory, albeit no one before Townes apparently envisaged a way to put that theory into practice. The double helix was a surprise, but it challenged no theory and resulted from application of well accepted methodology; compounds of inert gases challenged only oversimplified versions of valence theory, not the quantum-mechanical versions, and indeed it was the latter that inspired experimentalists to try making such compounds. So breakthroughs that challenged only a single one of the three aspects of science had to overcome a certain amount of resistance before being accepted. Soon thereafter they became praised, and soon after that they were talked about as though they had never been resisted. That’s how science normally progresses, change in one of its three aspects. What would happen if novelty were attempted simultaneously in two of those aspects? “Innovation simultaneously in two facets of this intellectual troika typically causes the work to be disregarded: the relevant research community doesn’t know what to do about it, isn’t able to use it, to build upon it. This has been called ‘premature science’ (Gunther Stent, ‘Prematurity and uniqueness in scientific discovery’, Scientific American, December 1972, 84-93). Contemporary examples are the searches for gravity waves and for a magnetic monopole, both of which have so far yielded only a single claimed observation over the course of many years. There were novel facts and method in each case, as also with the classic example of Mendel’s demonstration of numerical ratios in heredity — mathematics in biology was novel in method and so the arithmetical facts were too. Wegener’s suggestion of ‘drifting’ continents broke with prevailing theory about how the Earth’s geography came about and also with accepted method or approach — he claimed as meaningful the biological and geological relationships on opposite sides of oceans. More recently Barbara McClintock’s discovery of genes moving from one chromosome to another asserted novel facts for which current theory had no explanation; so it was announced in 1951, ignored for a couple of decades, and awarded a Nobel Prize in 1983. Almost contemporaneous was Peter Mitchell’s work on biological energy mechanisms, breaking with theory and using a novel approach as well–ignored or ridiculed for about twenty years but awarded a Nobel Prize in 1978” (Science or Pseudoscience: Magnetic Healing, Psychic Phenomena, and Other Heterodoxies, p. 10). So the historical evidence indicates that when attempts are made to change drastically and at the same time two of the three aspects of science, those attempts are ignored, perhaps even derided and denigrated; but occasionally they turn out to have been well founded and are then accepted, typically much later: some four decades in each of the cases of continental drift and Mendelian genetics. If such “premature” discoveries have no impact on contemporary science, what happens if a claim challenges the orthodoxy not just in two but in all three aspects of science at the same time? One instance was Velikovsky’s claimed interpretation of legendary or mythical happenings on Earth as resulting from planetary encounters (p. 152 ff. in Science or Pseudoscience: Magnetic Healing, Psychic Phenomena, and Other Heterodoxies) or the claim that eyewitness and indistinct photography suffice to show that there exists in Loch Ness a population of large creatures never previously known to science (p. 163 ff. in Science or Pseudoscience: Magnetic Healing, Psychic Phenomena, and Other Heterodoxies). What does all this have to do with HIV/AIDS? An entirely novel “fact” was being claimed: immune deficiency acquired through an infectious agent that specifically destroyed immune-system cells. One of the central methods underlying this claim had just been introduced, namely the measurement of CD4 immune-system cells. Another central method was also quite new, using the detection of reverse transcriptase as indicative of the presence of a retrovirus (incidentally, a method that soon afterwards was found to be not valid). The theory that a retrovirus could be pathogenic at all ran counter to accepted understanding of retroviruses. If science had been true to its customary way of judging novelties, the claim that HIV causes AIDS would have been dismissed as rank pseudo-science. “Genetic analysis has shown . . .” makes the claim that something has been proven scientifically, which is commonly taken to mean beyond any doubt. — Lukashov, Goudsmit, & Paxton, “The genetic diversity of HIV-1 and its implications for vaccine development”, ch. 3, pp. 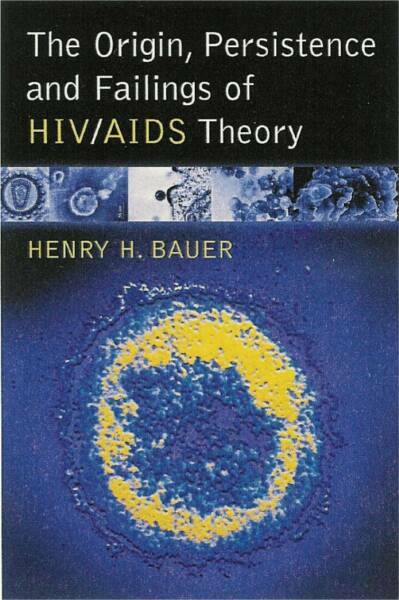 93-120 in AIDS Vaccine Research, ed. Wong-Staal & Gallo, Marcel Dekker 2002. Furthermore, one should not imagine that “genetic analysis” means that genomes are being compared, that whole DNA or RNA chains are being compared. Rather, the researchers decide to focus on some short segment of the presumed HIV genome and compare that short segment in the various samples. This means that one can calculate only probabilities, in the first instance the probability that two samples come from the same hypothesized chain of transmission. Even when that probability is high, however, the data cannot distinguish between direct and indirect transmission in that chain: in other words, the supposed victim of transmission (V) might have been infected by someone other than the suspect (S) because S might have infected A, B, C . . ., any one of whom might have infected V.
Beyond that, a high probability that two samples come from the same chain of transmission says nothing about the direction of transmission: it might even have been V who infected S rather than the opposite. Above all, it should be recognized that all evidence from genetic analysis is no more than circumstantial. It should not be confused with proof. occurred between two specific individuals. I’ve not yet seen a discussion of how this point applies to research that attempts to trace where HIV first entered human beings; or more important, how this point applies to research on measuring supposed rates of transmission, and on studies of attempts to prevent transmission. As it happens, Cohen et al. recently published “Prevention of HIV-1 infection with early antiretroviral therapy” (New England Journal of Medicine, 10.1056/NEJMoa1105243, 18 July 2011) in which they claim that “The early initiation of antiretroviral therapy reduced rates of sexual transmission of HIV-1”. “Through viral genetic analysis, 28 transmissions were linked to the HIV-1–infected participant”. But genetic analysis cannot prove such linkage! Note too that 11 of the 39 apparent transmissions were not even claimed to be direct transmission. How did they occur? Perhaps the same sort of process that produced these unlinked seroconversions might also have caused the 28 apparently linked transmissions as well? Furthermore, 23 of the 28 purportedly linked transmissions were at African sites. It is mainstream dogma that the prevalence of HIV in Africa bespeaks a very high level of multiple concurrent sexual relationships. Since genetic analysis cannot prove any given case of transmission, it seems unwarranted to assume that those 23 apparent transmissions in particular can be taken as proven direct transmission within the discordant couple. There are a number of other reasons as well for questioning the validity of conclusions from this study, for example the wide variety of antiretroviral drugs used: “Study drugs included a combination of lamivudine and zidovudine (Combivir), efavirenz, atazanavir, nevirapine, tenofovir, lamivudine, zidovudine, didanosine, stavudine, a combination of lopinavir and ritonavir (Kaletra and Aluvia), ritonavir, and a combination of emtricitabine and tenofovir (Truvada). A prespecified combination of these drugs was provided to participants at monthly or quarterly visits. Sites could also use locally supplied, FDA-approved drugs if they could be purchased with nonstudy funds. For participants with virologic failure, specified second-line treatment regimens were provided”. Even on the study’s own terms, surely one would need to consider the possibility that only one or some of these were effective, instead of lumping them all together as “early versus delayed therapy”? Beyond that, it seems rather unlikely that precisely the same protocol and level of supervision could have been in effect in all the different study sites in the different countries, and with investigators that number at least the named 35 co-authors. The chief point, however, is this. Experts in phylogenetic analysis are unanimous that this procedure cannot prove any given case of transmission. Cohen et al. rely on it precisely for such proof, and therefore their conclusions cannot be accepted as valid. Less politely, one might say that this peer-reviewed paper is BS. Most studies of claimed transmission have relied only on “HIV” tests. Those are even less to be believed, of course, than the genetic analyses, given the high rate of seroconversion for reasons having nothing to do with “HIV infection”. Just as with genetic analysis, though, an absence of matching tests can demonstrate a lack of transmission, as in the notorious Padian study.